The number of people in the UK using e-cigarettes has risen rapidly – quadrupling to 2.8 million adult vapers over the past four years. Importantly, the data shows that regular use of e-cigarettes in the UK is almost entirely confined to current and former smokers. In fact, e-cigarettes are now the most popular quitting tool among smokers in England. But, while 1.3 million UK e-cigarette users have completely stopped smoking, 1.4 million of them continue to smoke. Figures suggest that continuing to smoke as well as use e-cigarettes correlates with a perception among smokers that vaping is at least as harmful as smoking – and this incorrect perception is growing. We need to correct it. There is a growing consensus across public health leaders and agencies in England that e-cigarettes are significantly less harmful than smoking and have the potential to improve public health. This is based on the evidence as set out in Public Health England’s most recent independent review and the Royal College of Physicians 2016 report Nicotine Without Smoke: Tobacco Harm Reduction. Despite declines in prevalence over recent decades, more than 7 million adults in England still smoke and it remains the single largest cause of health inequalities, avoidable disease and premature death as well as contributing to family and child poverty. As public health professionals, we have a moral and professional responsibility to provide clear information on the evidence we have, to encourage smokers to stop smoking completely and help prevent relapse. New policies on the use of e-cigarettes in public places should also be based on the available evidence on safety for users and bystanders, and consider the benefits and risks for all smokers, non-smokers and vapers. PHE has published framework advice for organisations and employers to use as a guide for creating tailored policies on the use of e-cigarettes. Last month Hertfordshire County Council – serving a population of 1.2million people - adopted a new policy on e-cigarette use that recognises the significant health benefits that can be gained by using e-cigarettes as a tool to help smokers quit or reduce how much they smoke. The policy is in line with the current evidence that e-cigarettes carry a fraction of the risk of cigarettes for users, with no evidence of harm to bystanders from exposure to e-cigarette vapour. Tobacco is the leading cause of death and disability in Hertfordshire, causing 1,500 deaths every year. As well as this terrible burden of smoking on individuals and their families, the county loses £288 million every year in costs to social care, the NHS, other public services and employers. As is the case across most of the country, the decline in smoking prevalence has not benefited more disadvantaged communities in Hertfordshire. For example, while smoking prevalence in Hertfordshire is now lower than England, smoking in routine and manual workers is approximately 31.3% (compared with 26.4% of smokers in this group across England as a whole). Smoking prevalence in people with mental conditions remains significantly higher, locally and nationally, with rates as high as 60% in people with more severe conditions. E-cigarettes potentially offer a wide reach, low-cost, intervention to reduce smoking and improve health in these more deprived groups in society where smoking rates are higher. Using e-cigarettes to stop smoking could also help lift families out of poverty and protect babies and children from the effects of second-hand smoke. The Hertfordshire policy is part of a local strategy led by the County Council’s Public Health Directorate and the Tobacco Control Alliance to reap the health and financial benefits of e-cigarettes for citizens, give people choice, and explicitly welcome harm reduction approaches in line with national guidance. The policy states that if people need or wish to continue using nicotine, switching to e-cigarettes is cheaper and much safer than tobacco. 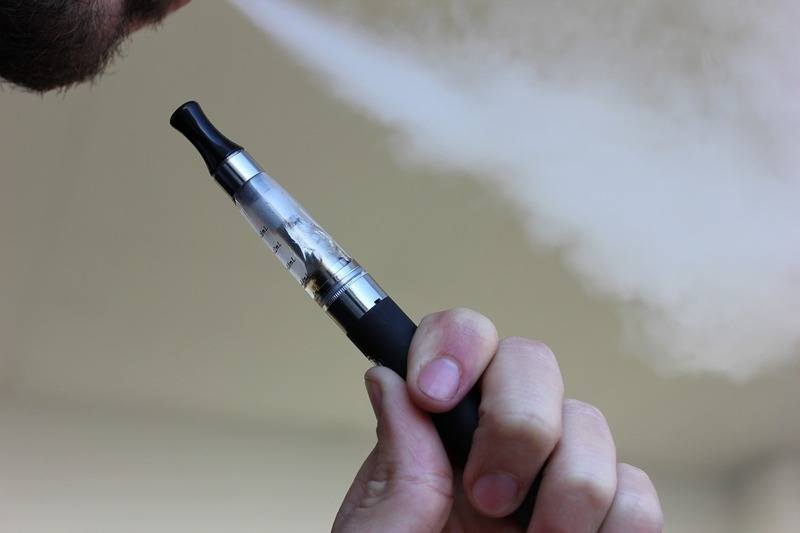 The policy had unanimous cross-party support among elected councillors, which Hertfordshire attributes to strong working relationships between councillors and officers, a commitment to health improvement among councillors and continuing awareness raising about the developing evidence on e-cigarettes. Hertfordshire’s new policy statement is primarily aimed at policy makers who need to consider whether or not to permit the use of e-cigarettes in workplaces, enclosed public places and external public areas, and includes potential approaches for different organisations and environments. Tobacco harm reduction policies for several local organisations are due for updating, so development of the policy by the County Council has been welcomed as a good local reference point. It comprises several key principles including commitments to continually review the evidence and monitor trends in e-cigarette use; to ensure that stop smoking services in Hertfordshire will encourage, welcome and support smokers who want to use e-cigarettes to quit smoking; and to support the development of local workplace e-cigarette policies, drawing on regional and national networks to share good practice. The policy will inform a step change in the approach to tobacco harm reduction within the local sustainability and transformation plan. PHE’s ambition is to secure a tobacco-free generation by 2025, and we believe e-cigarettes have the potential to make a significant contribution to achieving this. Realising this potential depends on fostering an environment in which e-cigarettes can provide a route out of smoking for England’s 7 million smokers, without providing a route into smoking for children or non-smokers. To view Hertfordshire's policy see items 4 and 4a via this link. Many thanks to both authors for this enlightened policy and recommendation to disseminate. Absolutely, I'm with Alan Beard on this fulfilling and thorough conclusion regarding harm reduction over smoking tobacco. Thank you both for caring about public health. As I read over the points I also happen to wonder if so many other areas and jurisdiction have ever considered taking their own lead towards understanding the science and common sense approach as shown by the Hertfordshire County Council. To a simple consumer such as myself it's almost as if the jurisdictions who have skilled health care professionals on the team of political advisors, are the regions to benefit the most, while other jurisdictions with merely political interest in reviewing such policies suffer at the wrath of poor health decisions by those policy makers? This of course is an avoidable situation but how to convey such a message is obviously not so welcomed by opponents. Good luck in Hertfordshire County. We will be keeping watch on how your model of harm reduction progresses. Again Thank You. Thanks for sharing this amazing blog with us!